The end of a year and the start of a new one always brings about lists. You’ll find them on online as a recap of the year. These lists include stories that trended the previous year, events, deaths, highest-grossing movies, top music hits…but one of my favourites is always the top books of the year gone by! I tend to check out Goodreads, New York Times, and any other ‘best of 2016’ book lists I come across. 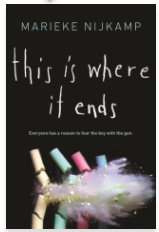 This is Where it Ends is a fast-paced and sad story about a school shooting. What’s unusual about this novel is that the entire book takes place in less than one hour. It’s told from multiple perspectives, of students, inside and outside of the school. Now we are 4 days into a new year. In terms of reading, I’ve decided to challenge myself this year in two ways: first, by reading at least ten ‘best of 2016’ books (I’ve already read one on the plane ride back from London! ); and second, to read more books than I did in 2016 (yes, I’m a reading geek who has a list of the books I read last year!! This is Where it Ends was #31). Stop me in the halls sometime and let’s chat about books: those I read last year and would recommend to you, and the novels you’ve read that you’d recommend to me! !…I’m always searching for my next good read (though I have four on my iPad waiting to be read right now…). 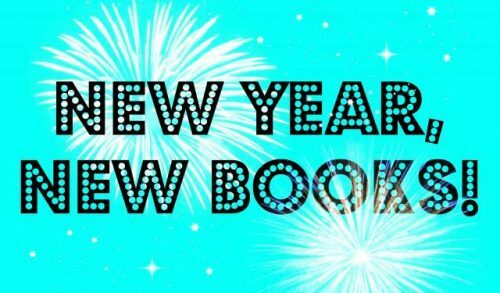 Happy New Year everyone…and Happy Reading! !